While 3,205 miles is certainly long, if one wants’ to do it right, the starting point of U.S. Route 6 in the west should actually be in Long Beach, California. 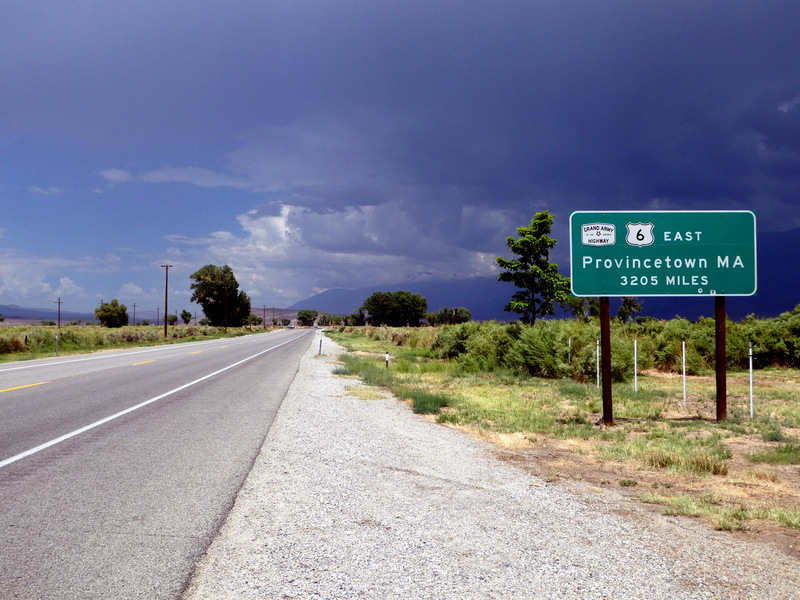 From its extension out of Greeley, Colorado in 1937 until 1964, Route 6 was the longest road in the U.S. Highway System and ran to within viewing distance of the Pacific Ocean in Long Beach. Like its better known sister, Route 66, it took an unusual path to the west coast due to California’s unique geography and the desire to make it a coast-to-coast route. It often shared the roadbed with other U.S. Highways through the Golden State except for the portion that is now known exclusively as California State Route 14. Then, in 1964, California went through a big change with the grandiose title of "The Great Renumbering." While truly necessary as the state’s numbering system with different designations between "legislative routes" and what the public saw on signs was already a mess even before trying to introduce a whole new set of Interstate Highway numbers, it sadly meant the end of every major U.S. Highway reaching California’s coast as even Route 66 was truncated to Pasadena until being fully decommissioned in the state in 1974. Of course, none of this is meant in any way to belittle this photograph which is indeed where U.S. 6 now officially starts heading east. Route 66 may be more famous and Route 20 is now officially longer. However, what is also known as "The Grand Army of the Republic Highway" is special because so little of it runs through big cities. To be honest, if I had the opportunity to do another big driving trip across North America, I just might choose 6 over 66 as it has less hype and offers much more of a mostly unspoiled landscape. I just figure, if one is going to do a drive as long as Route 6 is, might as well take that one extra day to follow it’s old alignment from Long Beach to see that that big city it once started from (or, where it ended if you start from Provincetown). Posted in Retro/Vintage, sign, TravelTagged Americana, nostalgia, Owens Valley, photography, road geek, signBookmark the permalink. It’s a New Kind of Cool!